1 Thicker square tube bed makes the operation more stable and accuracy. 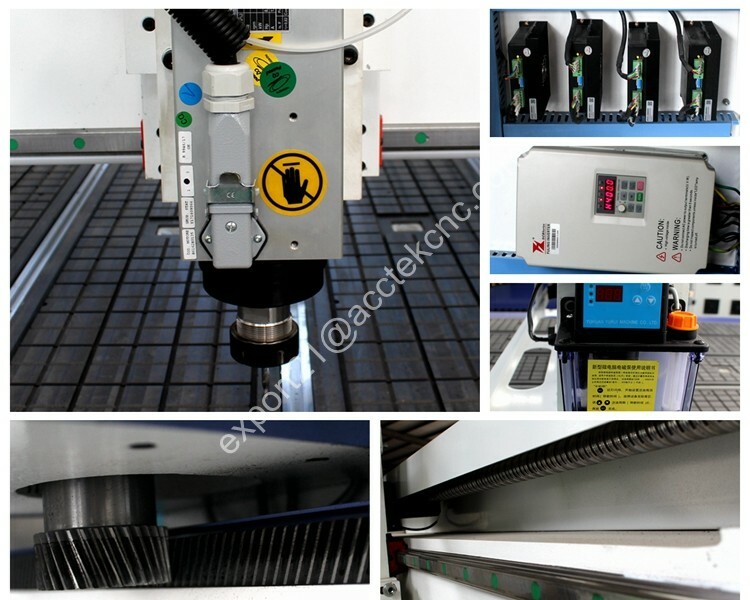 2 Our machines adopt the vacuum or T-slot dual-use table, you can use the clips to fix the small-scale materials, which can save the vacuum pump electricity, and you can adopt the vacuum adsorption to fix large-scale material.so the processing is convenient, simple and efficient. 3 High quality Taiwan imported Linear guide has much longer life 10 times of life-time than round guide; It is stable and hard to distort. 4 3KW top brand water cooling spindle has much powerful strength; So for processing your soft metal it will have higher efficiency.It will have a better effect . 5 the DSP control system is a very popular control system with high quality. All of our big machines use the DSP control system. 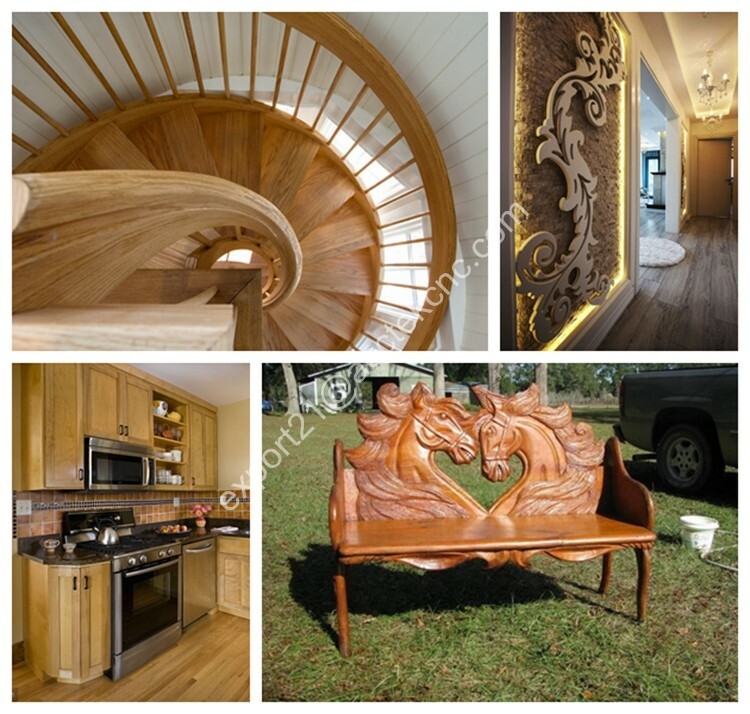 1.WoodFurniture Industry: Wave Plate, fine pattern, antique furniture, wooden door, screen, craft sash, composite gates, cupboard doors, interior doors, sofa legs, headboards and so on. 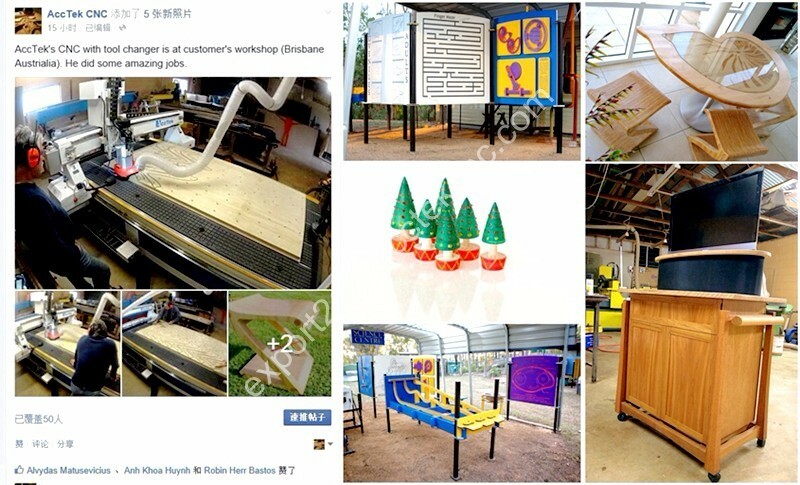 2.Advertising industry: advertising identification, sigh making, Acrylic engraving and cutting, crystal word making, blaster molding, and other advertising materials derivatives making. 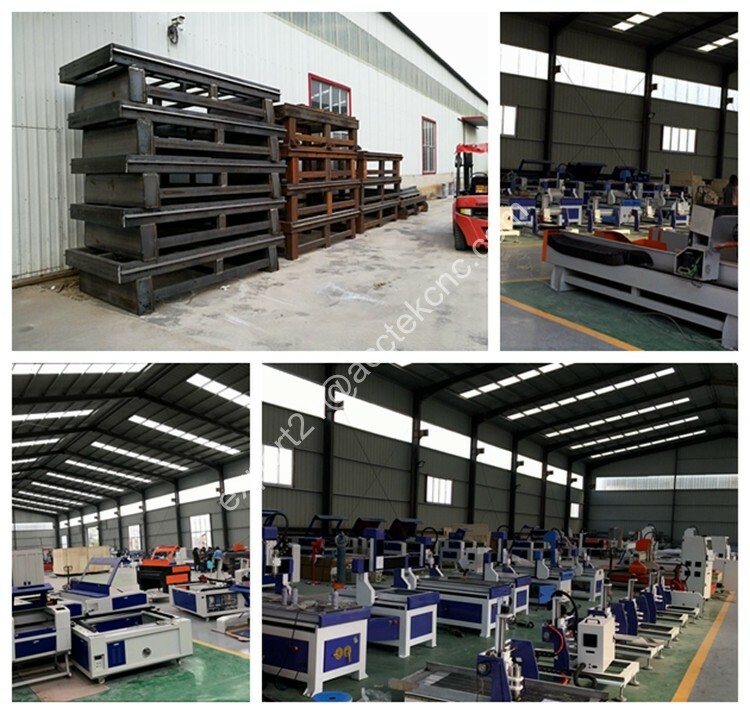 3.Die industry: A sculpture of copper, aluminum, iron and other metal mold s, as well as artificial marble, sand, plastic sheeting, PVC pipe, wooden planks and other non-metallic mold. 1. 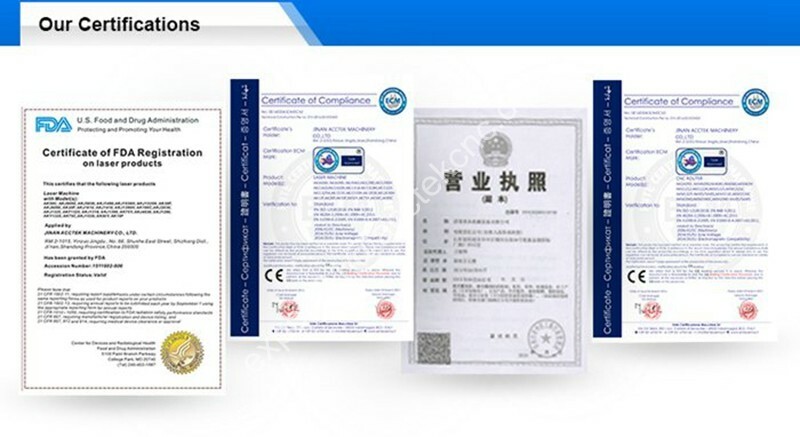 1 year quality guaranty, the machine with main parts(excluding the consumables) shall be changed free of charge if there is any problem during the warranty period. 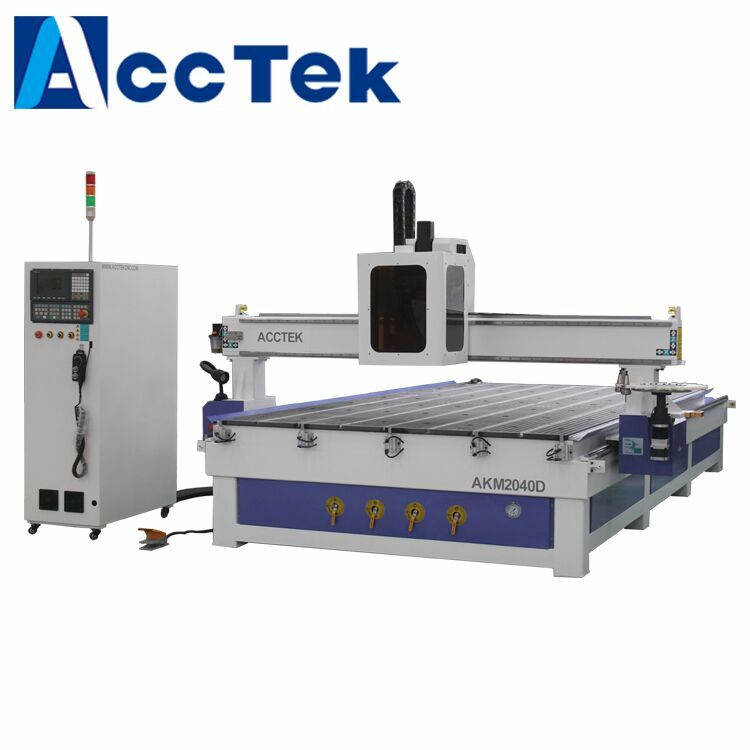 1.Its need about 10-15 working days to produce the machine after get your deposit. 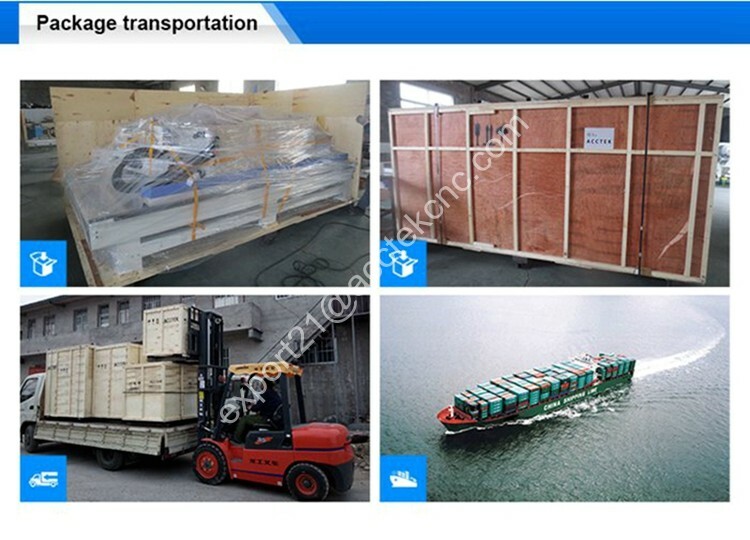 2.all thing is tested well,then we arrange the delivery. 1.We accept Paypal,Western Union,Trade assurance on alibaba, or T/T , you can pay 30% in advance, 70% before delivery. Most customers choose T/T,becs it is simple to process and low transfer commission. Also,you could also pay by Alibaba Trade Assurance, for more information. 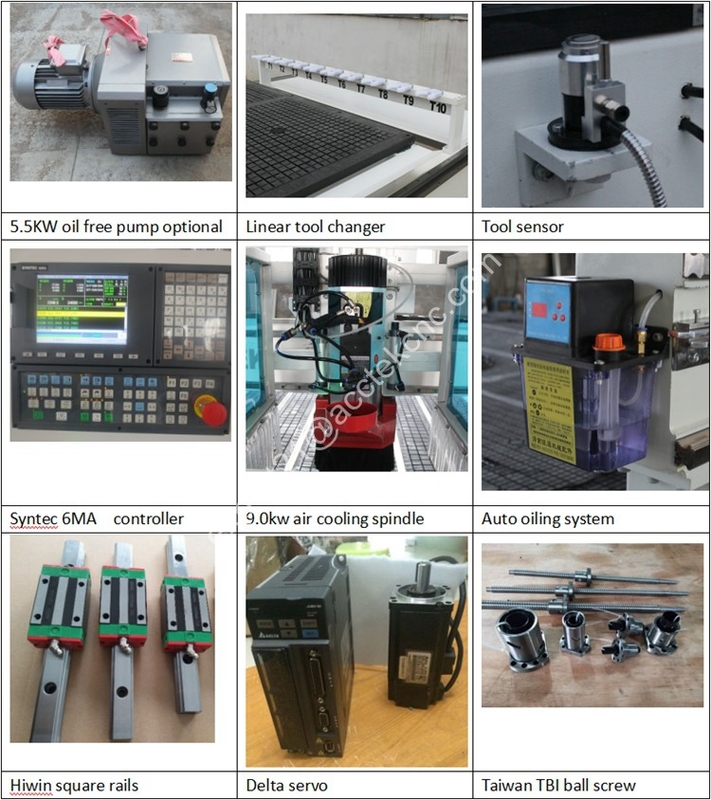 2.The machine will be produced after received your deposit.after the machine is ready, we will show you the machine photos and the testing video. 3.After you agree, please finish the balance.Finally.we arrange the delivery. 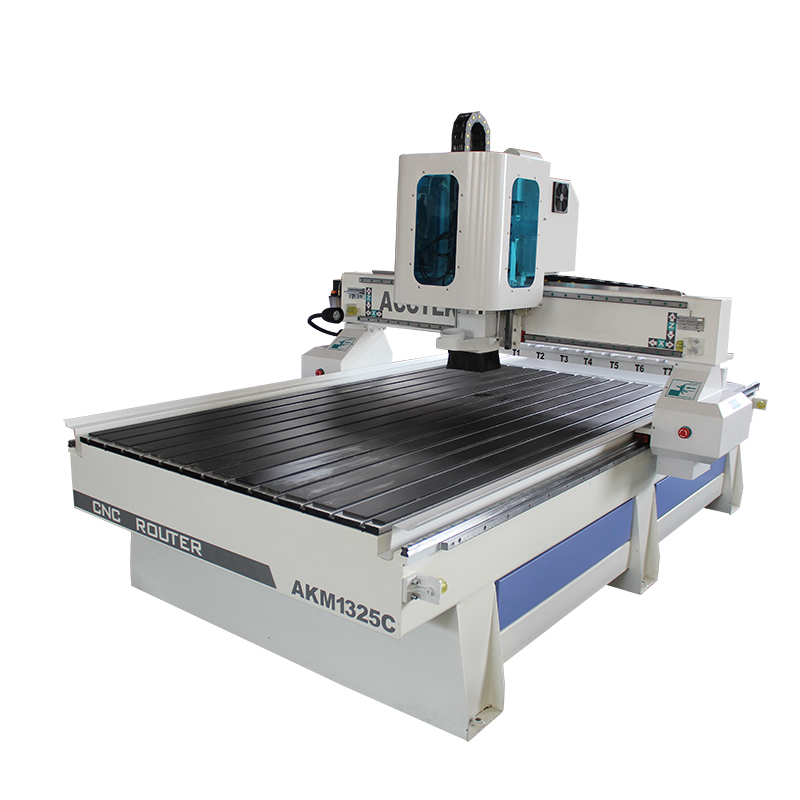 Q1.How can I get the most suitable machine and best price? Please tell me the material you want to working on ? How to working on it ? Engraving ? Cutting ? Or other ? Q2: Do you have the manual of machine. Yes, we have. We will give you the machine English Manual when we deliver the machine to you. Q3.If we don’t know how to use the machine, can you teach us? 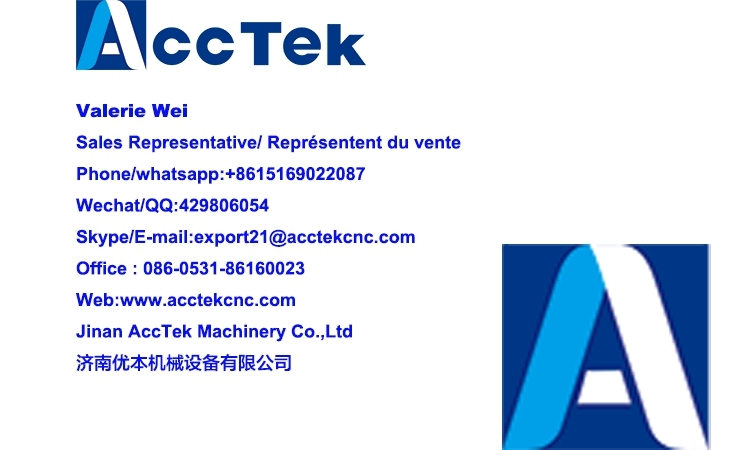 Yes,we will ,if you come to China,we will offer you free training until you can use machine freely.And if you are busy ,we will send the special engineer to your country,but you need to bear some fee,like tickets and hotel and meal. Q4.How about your after-sales service? We offer you 24 hours service online through phone, skype or E-mail. 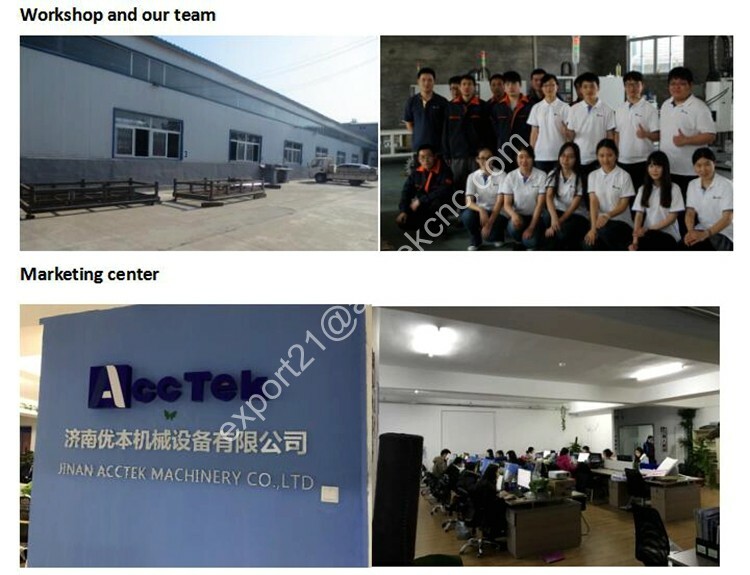 Jinan Acctek Machinery Company specializes in manufacturing CNC Rooter and Laser machines. Since 2005 we have been based in the Industrial Zone of Jinan City, Shandong Province south of Beijing. 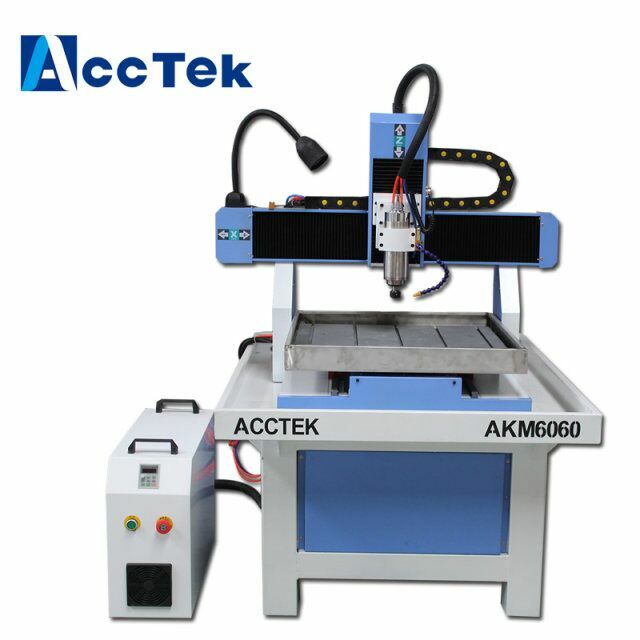 Our main products are Acctek CNC Rooters and Laser engraving and cutting machines. Stock or custom configurations are specially. Components for our machines are sourced from world class suppliers and innovators in machine control. These machines are used in many industries, crafts and arts businesses around the world. 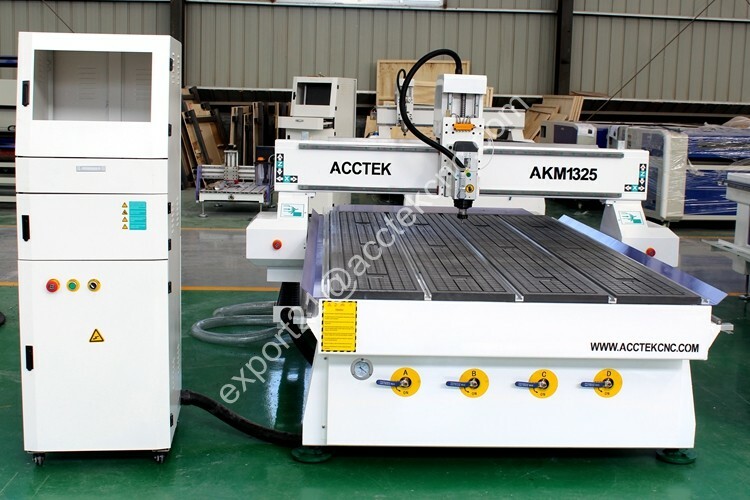 These include woodwork, metaL and stone work, aluminum fabrication, boat building, shop fitting and mold making etc. We welcome customers and potential business associates from around the world. We can work together cooperatively for mutual benefit.